NSR’s M2M + IoT via Satellite Expands ... Is There A Game Change About To Take Place? [Satnews] NSR’s M2M and IoT via Satellite report expands on previous editions with more granular forecasts than ever before, with the much requested breakout of the dominant Transportation sector. This industry reference for the upcoming ‘Connected World’ is a go-to guide to navigate the future of M2M and IoT via satellite. Locating shifting revenues, changing end-user requirements, and globalization of M2M solutions, M2M/IoT6 provides readers the knowledge and intelligence needed to develop products to where the market is heading by 2024. The report examines current and future requirements, by region, vertical and frequency band, and for the first time, readers can see the differing trends between Maritime, Aeronautical and Land Transportation applications. Chapters are organized by 11 distinct verticals, and includes assessments on the consumer based Internet of Things via satellite. This report enables M2M and IoT service providers and satellite operators to protect and expand their market position in both existing and new segments that offer long-term revenue potential. What role will satellite M2M play in the Internet of Things? Is there a game change about to take place in the satellite M2M/IoT market? Or will legacy solutions continue to dominate revenue streams? What are the revenue prospects per application? 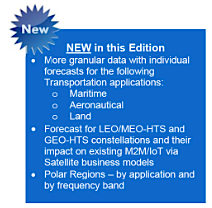 How will HTS constellations in both MEO-HTS and LEO-HTS affect the existing business models of M2M/IoT via satellite? How are the changing requirements of the aeronautical sector affecting the future of M2M services? What is the emerging competitive landscape? What is the overall impact of terrestrial services in the satellite M2M/IoT market? 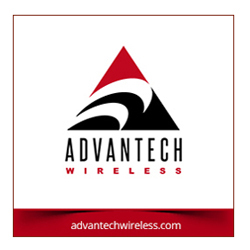 The detailed assessment of each market vertical relies on the latest results reported as well as input from key vendors that are currently the market leaders in targeted M2M/IoT application segments. This provides a solid quantitative and qualitative basis from which a comprehensive analysis of trends and market forecasts can be drawn.